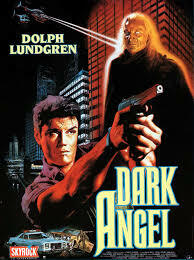 Genre Grandeur – Dark Angel (1990) – Screenkicker! Alien films used to be the comic book movies of their day. Instead of superheroes being smart-asses and craving shwarma we had cool sci-fi classics that made you think and blew your tiny mind. Dark Angel isn’t one of these but it’s still a memorable action film. Read what I thought about it on trained killer MovieRob’s site as part of his Genre Grandeur series. Enjoy! For the next review for this month’s Genre Grandeur – Aliens, here is Mikey from Screenkicker. If you don’t already follow him (or his site for that matter) (#MikeyStalker) then you should start doing so right away (without him noticing). If anyone is still working on a review for this months genre, let me know ASAP, so I can make sure to keep a spot open for you. Just shoot me an email to aliens@movierob.net. It’s very, uh, literal! Is that what happens when you’re watching a film that you really hate? I usually just throw pillows at the TV. If you had to sit through as many awful films as I do you would get violent! shh. why do u keep giving away my specialty. Thanks fro participating!